American military planners had to make an important decision when the United States entered the Second World War at the end of nineteen forty-one. American forces could not fight effectively in Asia and Europe at the same time. The military planners decided to use most of their forces to defeat the German troops of Adolf Hitler. Only after victory over the Nazis was clear in Europe would they use all of America's strength to fight Japan in Asia and the Pacific. Because of this decision, Japan was able to win many of the early battles of the war in Asia. The fighting in the Pacific is the subject of program this week. Japanese planes bombed the American naval base at Pearl Harbor, Hawaii, on December seventh nineteen forty-one. BROADCASTER: "We interrupt this program to bring you a special news bulletin. The Japanese have attacked Pearl Harbor, Hawaii, by air, President Roosevelt has just announced. "We take you now to Washington. The attack was apparently made on all naval and military activities on the principal island of Oahu." The surprise raid marked the first of several major victories for the Japanese. Shortly after Pearl Harbor, imperial forces attacked American bases in the Philippines. And within days Japan captured the American island of Guam. Japanese troops landed in Thailand. They marched into Malaya, and they seized Hong Kong. The Japanese also moved into Indonesia and Burma. Even Hitler's troops in Europe had not moved so quickly or successfully. As one American historian wrote later, the Pacific Ocean looked like a Japanese lake. The United States began to fight back. 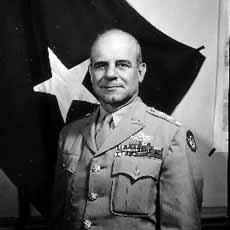 General Jimmy Doolittle led a group of sixteen American B-25 bombers that took off from the aircraft carrier Hornet and bombed Tokyo in a surprise raid. JIMMY DOOLITTLE: "The B-25 was selected because it was small, because it had the sufficient range to carry two thousand pounds of bombs, two thousand miles, and because it took off and handled very well." STEVE EMBER: It was a bold move. The B-25 had never been launched from an aircraft carrier before. And the demands on the planes -- and the pilots -- were even greater with the weight of a full load of bombs. Japan's leaders believed no army could stop them. So they expanded their goals and launched new campaigns. This was Japan's mistake. It stretched its forces too thin and too quickly. The military leaders in Tokyo believed that the United States could not resist because American forces were busy fighting the war in Europe. But no country could extend its communications and fighting ability over such a great distance and continue to win. The turning point came in June nineteen forty-two in the central Pacific in the great battle of Midway Island. Smoke rises from the Yorktown after a Japanese bomber hit the American aircraft carrier in the Battle of Midway in June 1942. Bursts of anti-aircraft fire fill the air. Japanese Admiral Isoroku Yamamoto launched the battle. He wanted to meet and destroy the remaining ships in the American fleet before the United States could recover from the destruction at Pearl Harbor. Yamamoto had one hundred sixty-two ships. The American admiral, Chester Nimitz, had just seventy-six. But the United States had discovered how to read the secret messages of the Japanese forces. For this reason, Nimitz and the Americans knew exactly where the Japanese ships would sail. And they put their own ships in the best positions to stop them. The fighting between the two sides was fierce. But when it ended, the Americans had won a great victory. Admiral Yamamoto was forced to call off his attack and sail home. For the first time, the Japanese navy had been defeated. The next big battle was at Guadalcanal, one of the Solomon Islands in the southwestern Pacific. Guadalcanal's beaches were wide and flat. Japanese officers decided to build a military air base there. The United States learned of the plans. American commanders decided that they had to prevent Japan from establishing that base. United States Marines quickly landed on the island. They were joined by troops from Australia and New Zealand. But Japanese ships launched a surprise attack and destroyed many of the American ships in the harbor. Allied forces on the island were left without naval support and suffered heavy losses. "For us who were there, or whose friends were there, Guadalcanal is not a name but an emotion, recalling desperate fights in the air, furious night naval battles, frantic work at supply or construction, savage fighting in the sodden jungle, nights broken by screaming bombs and deafening explosions of naval shells." The fighting continued, seemingly forever. But finally, in February, nineteen forty-three, the Japanese were forced to leave Guadalcanal. The battle was an important defeat for Japan. It opened the door for the American and other Allied forces to go on the attack after months of defensive fighting. But American military planners did not agree about the best way to launch such an attack. Admiral Nimitz of the Navy wanted to capture the small groups of Japanese-held islands in the Pacific, then seize Taiwan, and finally attack Japan itself. But General Douglas MacArthur of the Army thought it would be best to attack through New Guinea and the Philippines. The American leadership finally decided to launch both attacks at once. Nimitz and MacArthur both succeeded. Nimitz and his naval forces moved quickly through the Marianas and other islands. General MacArthur's troops attacked through New Guinea and into the Philippines. 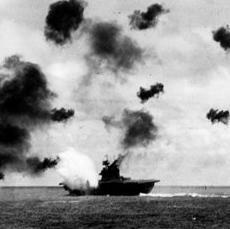 American ships defeated Japanese naval forces in the battle for Leyte Gulf. Throughout the Pacific and East Asia, the fighting continued. Many of the fiercest battles were fought on tiny Pacific islands. Japanese troops captured the islands early in the war. And they quickly built strong defenses to prevent the Allies from invading. Allied military leaders found a way to defeat the Japanese plan. They simply avoided the islands where the Japanese were strong and attacked other islands. But sometimes the Allies could not avoid a battle. They had to land on some islands to seize airfields for American planes. The names of these islands became well-known: Tarawa in the Gilbert Islands. Truk in the Marshall Islands. Saipan in the Marianas, and other islands including Guam and Tinian. The two sides fought fiercely in the battle of Iwo Jima. And, on Okinawa, Japanese forces resisted for eighty-three days before finally being defeated by Allied troops. After the defeat at Okinawa, many Japanese understood that the war was lost, even if Japan had not yet surrendered. Emperor Hirohito appointed a new prime minister and ordered him to explore the possibilities of peace. But both sides still expected the Allies to launch a final invasion into Japan itself. And everyone knew that the cost in human life would be great for both sides. But the invasion never came. For years, American scientists had been developing a secret weapon, the atomic bomb. The code-name was the Manhattan Project. President Harry S. Truman made the decision to use it against Japan. 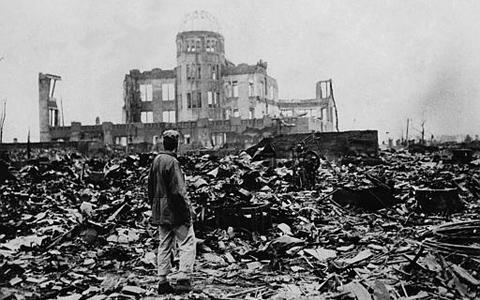 HARRY TRUMAN: "The world will note that the first atomic bomb was dropped on Hiroshima, a military base. We won the race of discovery against the Germans. We have used it in order to shorten the agony of war, in order to save the lives of thousands and thousands of young Americans. We shall continue to use it until we completely destroy Japan's power to make war." American planes dropped one of the bombs on Hiroshima on August sixth, nineteen forty-five, and another on Nagasaki three days later. Exactly how many people in those two cities died from the force and heat of the blasts or later from radiation may never be known. The Radiation Effects Research Foundation in Japan estimates that between one hundred fifty thousand and two hundred forty-six thousand died within two to four months of the bombings. Japan surrendered on August fifteenth, nineteen forty-five, six days after the Nagasaki bombing. Suddenly, sooner than expected, World War Two was over. 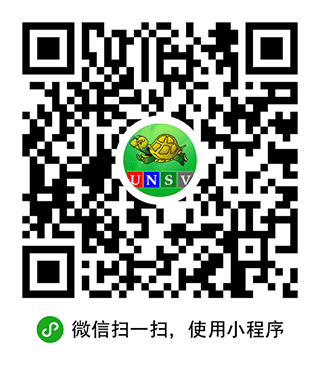 More than twenty-five million people -- soldiers and civilians -- died during the six years of fighting. Germany and Japan were defeated. The Soviet Union was strong in much of eastern Europe. But the United States found itself the strongest military, economic and political power in the world. Our story continues next week. This was program #194. For earlier programs, type "Making of a Nation" in quotation marks in the search box at the top of the page.